This keynote is an experiential learning exploration that leverages the difference between “learning about” and “having an experience of” to create a deeper understanding of the fundamentals of effective leadership. 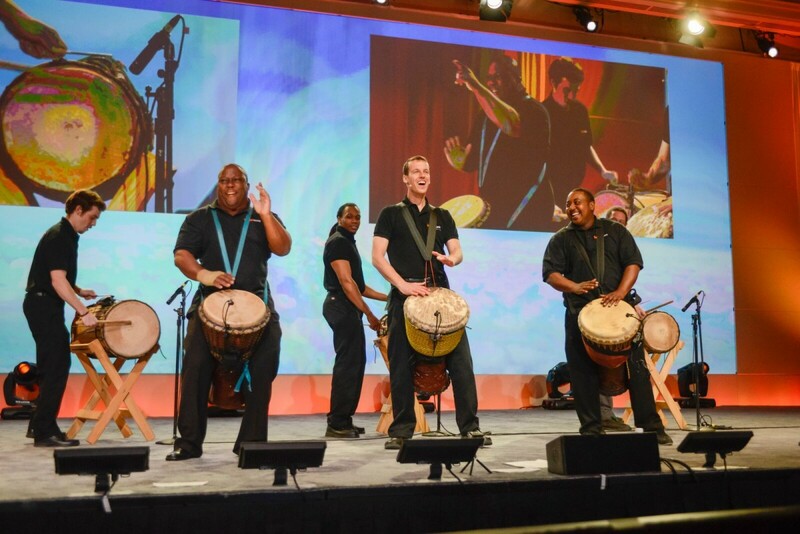 With an instrument provided for each participant to use during the session, this program uses rhythm and music as a metaphor to explore critical leadership competencies. By using the perspective of music to explore the competencies of the field, participants will come away with a renewed appreciation of both the art and discipline of leadership. Revisiting the fundamentals of the field in this way elevates the leadership practices of professionals across the talent development profession. Cultivate critical leadership abilities in the areas of effective communication, collaboration, emotional intelligence, and self-awareness. Participants will be able to immediately apply their refreshed perspective on the fundamentals of leadership. Having applied many of these skills through experiential learning exercises, they will have a renewed sense of the importance of a fundamentals-based focus in exploring what it means to be a leader in today’s professional world. Additionally, through their day to day interactions with colleagues and co-workers, attendees will be able to immediately apply their learnings in the areas of self-awareness and emotional intelligence.